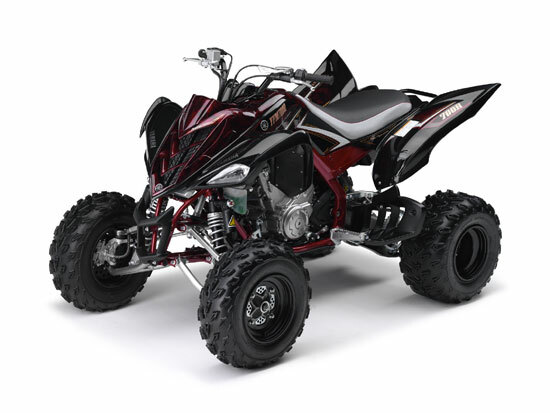 Designed to dominate any terrain, the sharp-handling 2009 Yamaha Raptor 700R SE draws jaw dropping power from a 686cc liquid cooled engine. Electronic fuel injection means fantastic throttle response and performance, while a light hybrid chassis with aluminum rear section helps make it the lightest thing in its class. 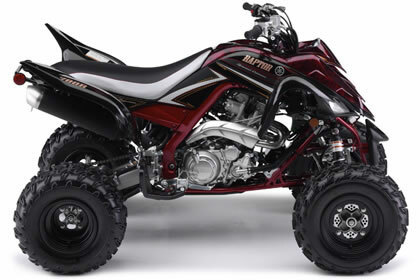 The Raptor 700 R SE adds a few special touches to the already class leading Raptor. A custom Black and Red colour scheme and super high performance piggy-back clicker shocks with high and low speed compression damping adjustment. Truly a lightweight big-bore sport ATV, with an engine designed for torque, and a chassis designed to rail corners. 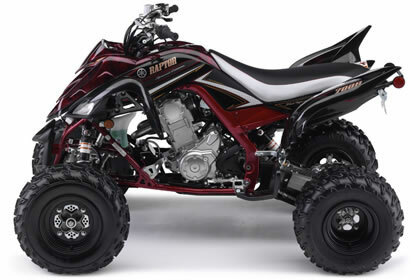 Inspired by the YFZ, the Raptor 700 R has many of the race bred features developed from years on the track, with a little extra comfort built in. With a wider/thicker seat, taller bars and suspension damping geared for the trails, the Raptor has an edge over the YFZ for long distance trail riding. It’s more comfortable, has more leg room, and with all that torque, you aren’t searching for gears every corner. So if you’re looking for the ultimate sport ATV, and spend most of your time on the trails, look no further. 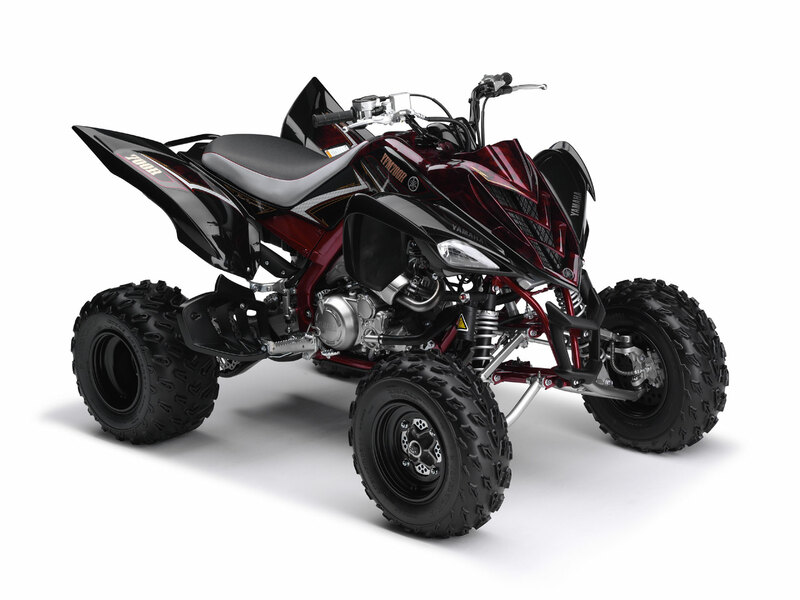 The Raptor 700 R… let them eat YOUR dust. Adding even more performance the SE Raptor sports piggy-back clicker shocks to the front and back with high and low speed compression adjustment. The front shock absorber incorporates a high pressure gas (HPG) oil damper, adding to the optimum suspension set up.